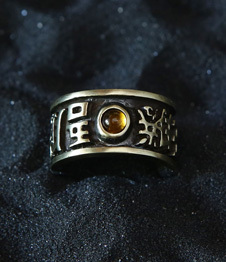 The Atlantis Ring of ancient times acts as a selective defense shield which allows beneficial energy to enter and wards off any malicious vibrations. 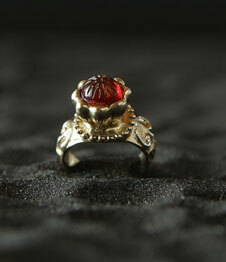 The Atlantis Ring amulet is a powerful protection artifact against negative influences and dangers of all kinds. 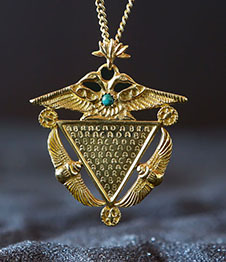 This unique amulet is designed to slowly adjust itself to the energy of its owner, increasing his or hers intuition and ability to connect with higher levels of consciousness and Spirit guides. 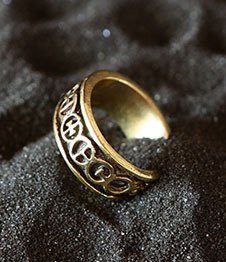 The Atlantis Ring of ancient times acts as a selective defense shield which allows beneficial energy to enter and wards off any malicious vibrations. It also serves as an amplifier of spiritual growth and assists in the maintenance of physical well being. 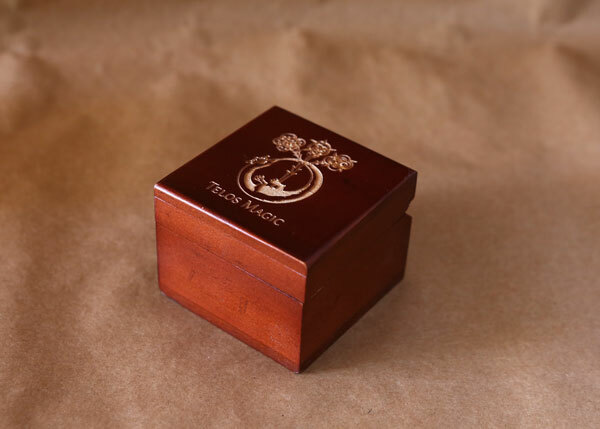 The unique structure of this Magical object adjusts itself to your own, individual electromagnetic field and forms a vibrational energy shield that will neutralize any and all negative imbalances. Originally made of Aswan (Assouan) clay, the Atlantis Ring was first discovered around 1860 in the tomb of an Egyptian high priest. 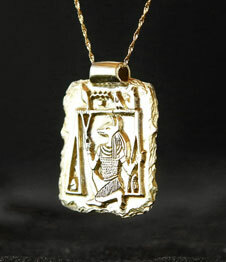 The discovery was made by the French Egyptologist, Marquis d'Aigrain, during excavations in the Valley of the Kings. It was then passed on to Howard Carter who had it in his possession until his death in 1939. 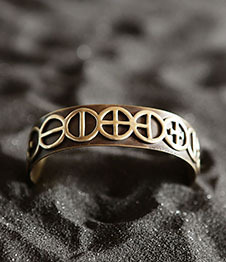 The ring is thought to be several thousand years old and was adorned with geometric symbols which were placed according to a precise and special arrangement. The symbols found on the ring are unlike anything that was used or known in ancient Egypt, leading many to speculate that its origins are in the time of Atlantis and thus, the Ring of Luxor as become known as the Atlantis Ring. 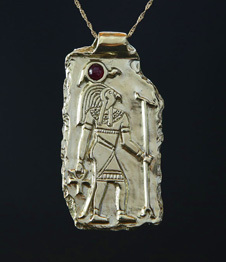 The story goes that Howard Carter, the famous British archeologist who discovered the tomb of Tutankhamen, was wearing a talisman when he opened the infamous tomb in 1922. 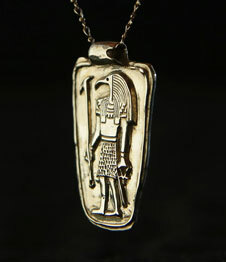 According to Carter, This talisman had protected him against all harmful influences, making him the only survivor of the Curse of the Pharaohs. 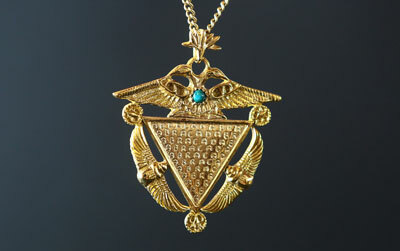 After Carter had died, his personal documents were analyzed and it was found that this talisman was the Ring of Luxor, as it was then called, or the Atlantis Ring, as we now know it. 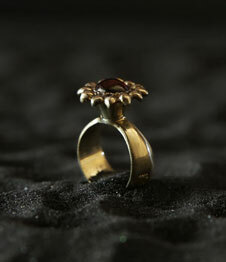 The patterns on the Atlantis ring are astonishingly elegant and timeless. 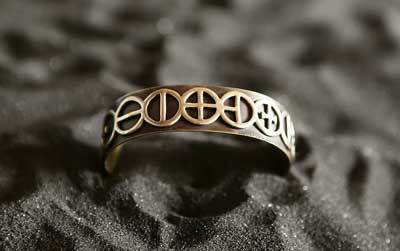 Its design follows very specific measurements that are based on Sacred Geometry proportions (the Golden Mean). 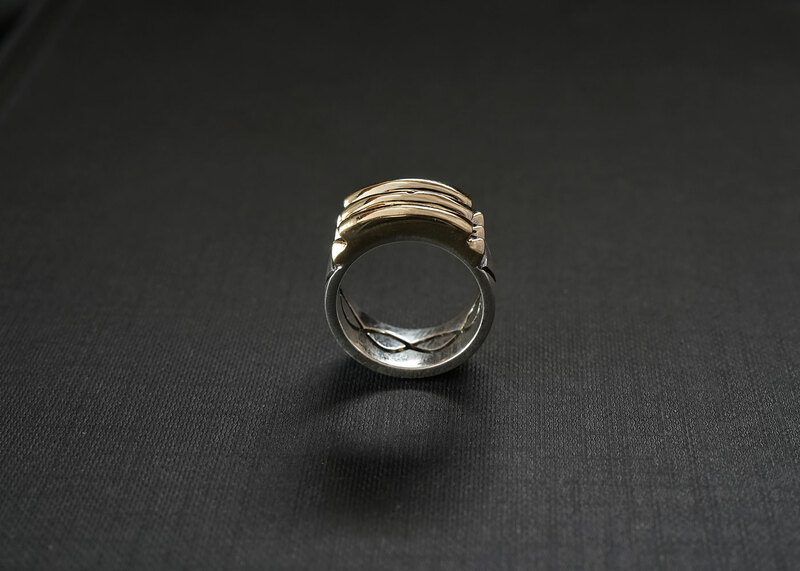 The natural flow of the lines, the simplicity of the shapes and the special way in which they are arranged, are the source of this unique ring’s Power. 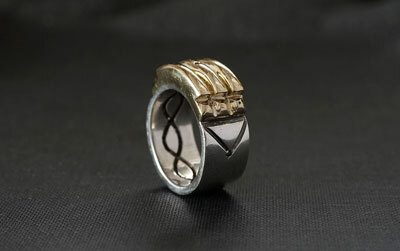 The Atlantis Ring consists of 6 pyramids, 3 rods, 2 isosceles triangle, 4 holes and a continuous, intertwining wave that is engraved on its inner surface. The golden pyramids serve as “antennas” which collect and transmit cosmic energy in the form of electromagnetic vibrations. The triangles connect the pyramids, amplify their energy and distribute it evenly in both directions. The four holes are arranged in two opposing pairs and represent the Axis Mundi (the Four Winds) which serves as guidelines and direct the flow of energy. 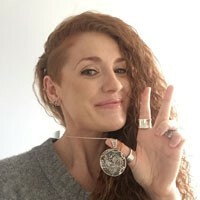 Positive energy flows in through the two holes at the top of the triangles while negative energy flows out through the other two, creating an energetic bio-path and allowing the energy to flow in a pattern of integrating waves. In order to maximize the conductivity of the ring and allow it to easily absorb the cosmic energy, we had created the ring out of two parts; the top part is made of gold while the bottom one is made of silver. 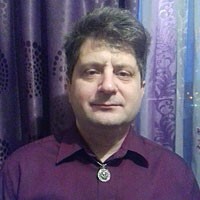 The two parts of the ring were then connected on the most auspicious astrological time when the Sun (gold) and the Moon (silver) were both strong in the sky and seeing each other in a supportive and harmonious aspect. This special timing was chosen to enhance the individual properties of each metal while also ensuring that they will complement each other.